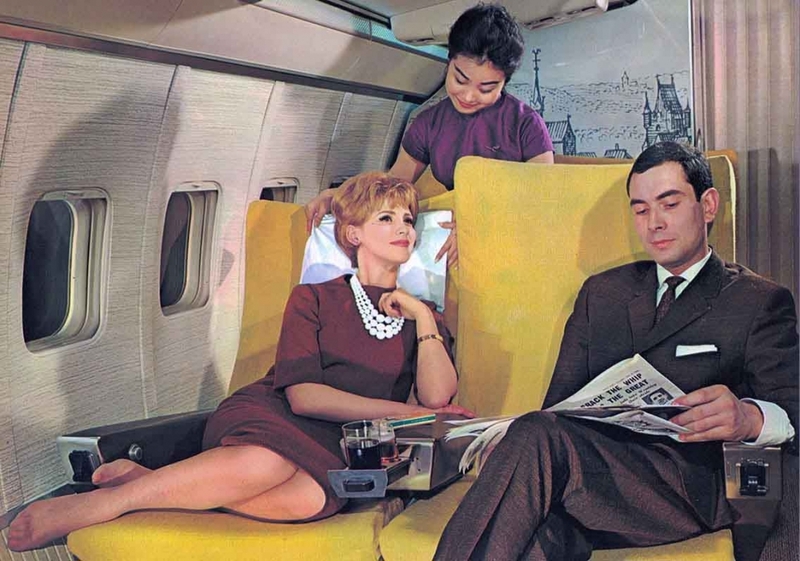 What did we ever do to pass the time on aircraft before laptops, iPads, Ipods and seat back videos with 1000 choices of entertainment? 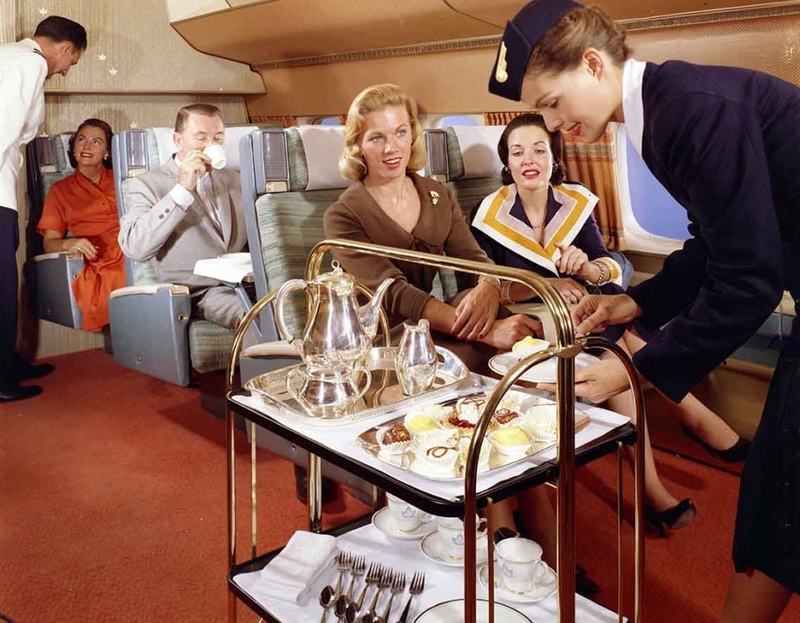 In the 1950s and 60s inflight entertainment as we know it today was in its infancy and rudimentary. 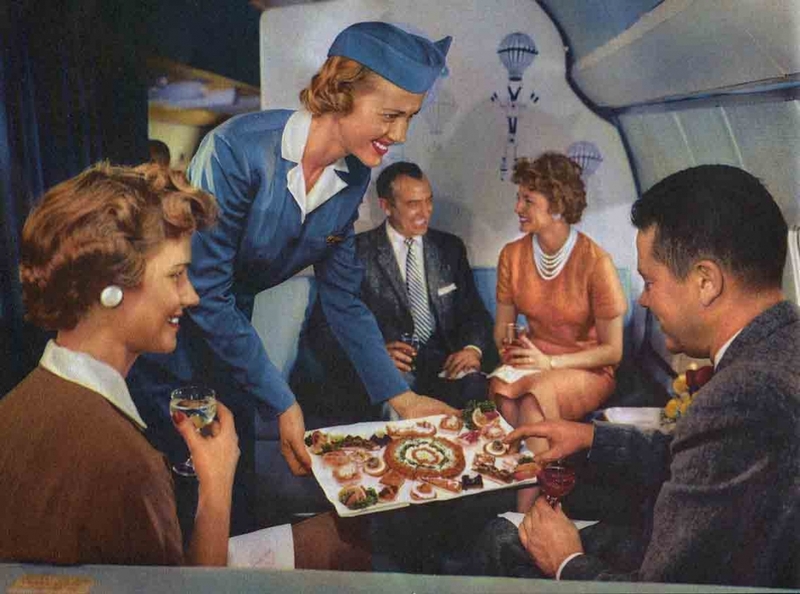 Although the first film was shown on an aircraft in 1921 it wasn’t until the 1960s that inflight entertainment became mainstream and popular. 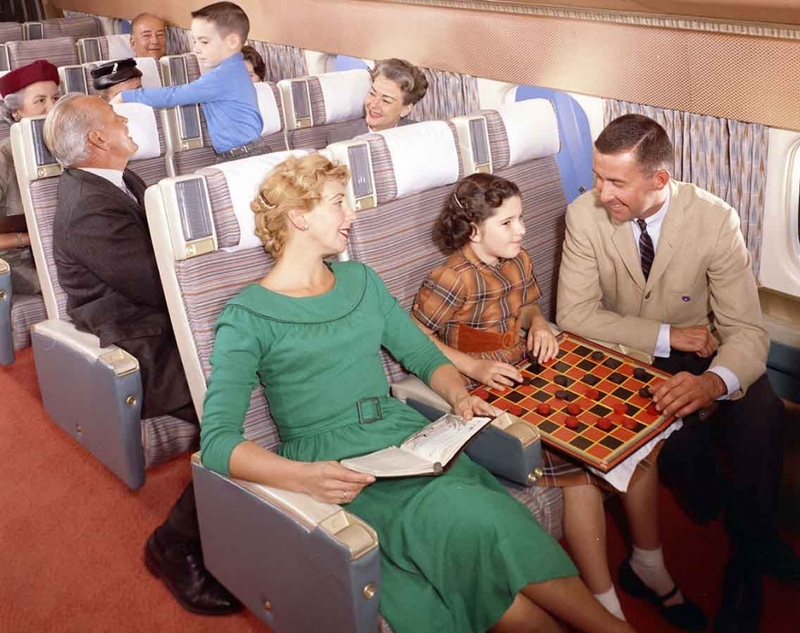 So let’s take a peek back through these interesting vintage photographs to reveal what travelers did to amuse themselves on those long flights in the 1950s and ’60s. 1. The most popular pastime was of course reading – a good thriller, a romance or just catching up with the news in a newspaper, because don’t forget there was no internet, FB or twitter via WiFi. 2. 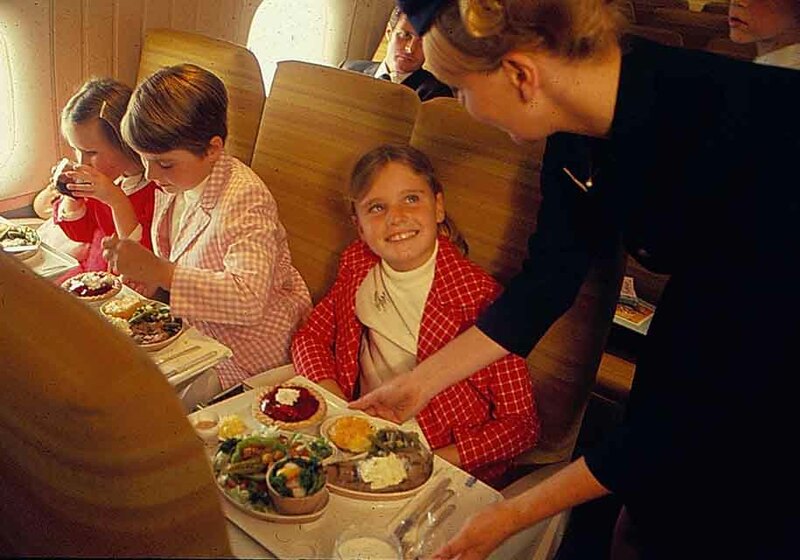 When you weren’t reading, meal time was a grand affair even in economy. 3. 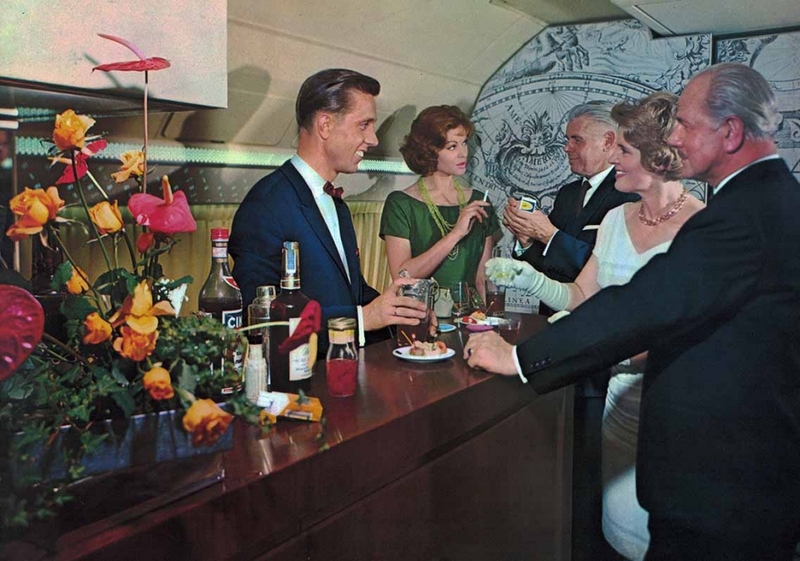 For those in First Class the meal was preceded by drinks at the bar. 4. Canapes may also be on offer to the “pearl set”. 5. 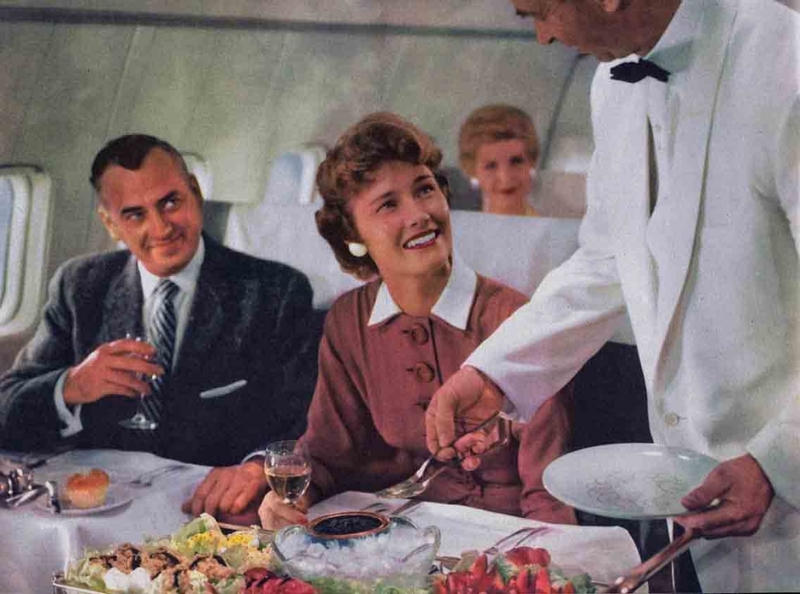 Dinner was a multi course affair served more often by stewards in white coat and back tie no less – and at your table. 6. 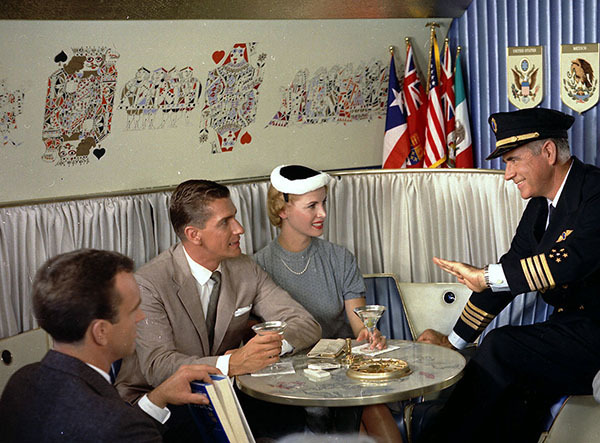 After dinner or lunch you might retire again to the lounge and meet the captain who would do the rounds. It was great PR to calm nervous flyers for passengers to chat with a multi striped veteran who had experience etched in his rugged good looks. 7. Chess was always – and still is – a great way to pass the time and a good game could take hours but would only seem like minutes. 8. For those who wanted a simpler challenge maybe a game of drafts with mum and dad in economy. 9. 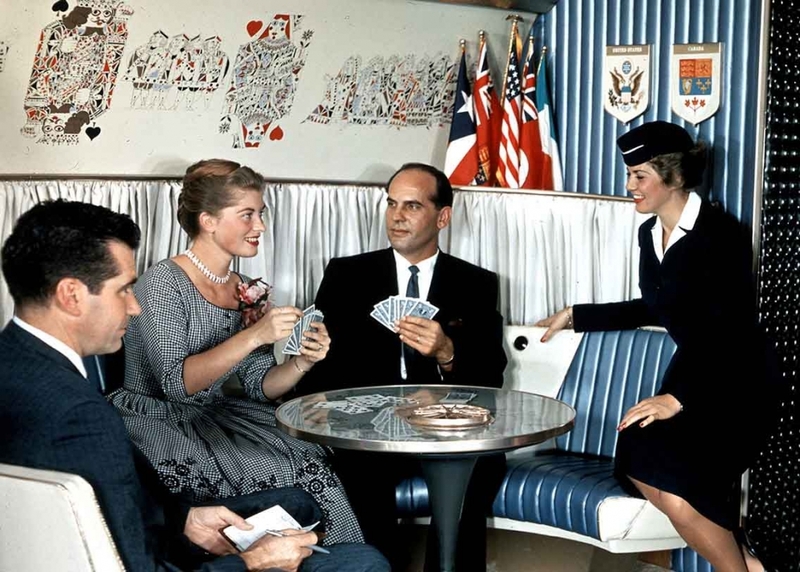 Playing cards was also popular and airlines would issue them with logos, or pictures of planes or destinations that they flew. 10. Flight crew were always on the lookout for junior flyers and would explain the route the aircraft was taking. 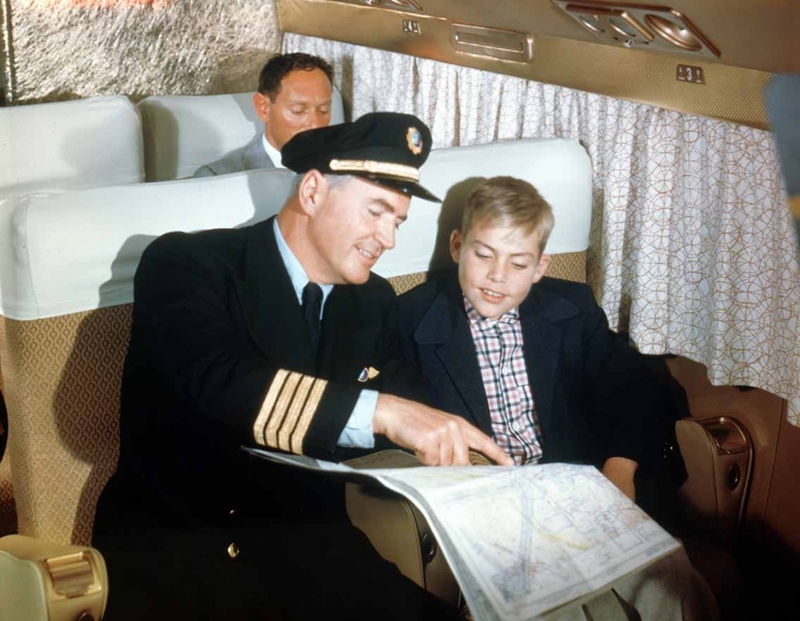 Millions of young flyers signed up for the various Junior Flyers clubs which came with log books of your travels and pilots would oblige and fill in the details of the flight. 11. Afternoon tea was a grand affair with full silver service with a collection of sweets and pastries that would tempt even the most resilient weight watcher. 12. 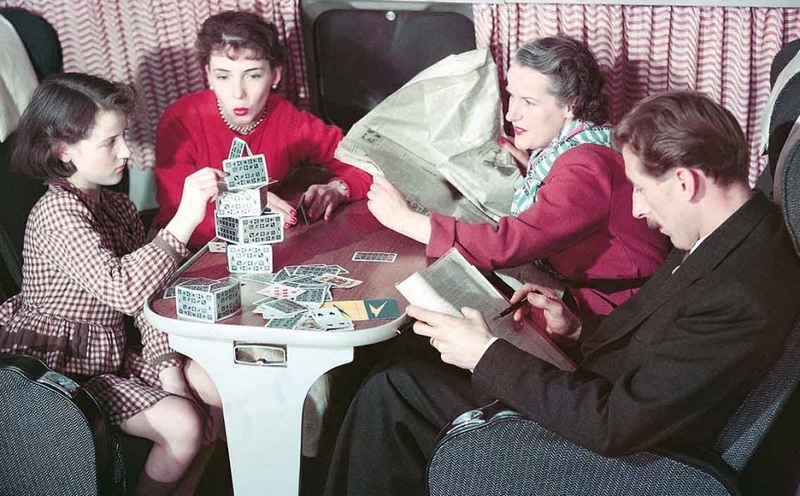 When you weren’t playing cards you could use them to build a house. 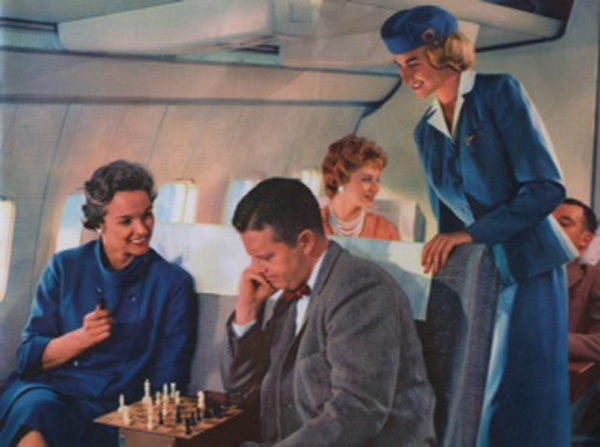 This was a popular PR shot to illustrate how smooth jet travel was compared to the piston-engine aircraft they replaced. 13. 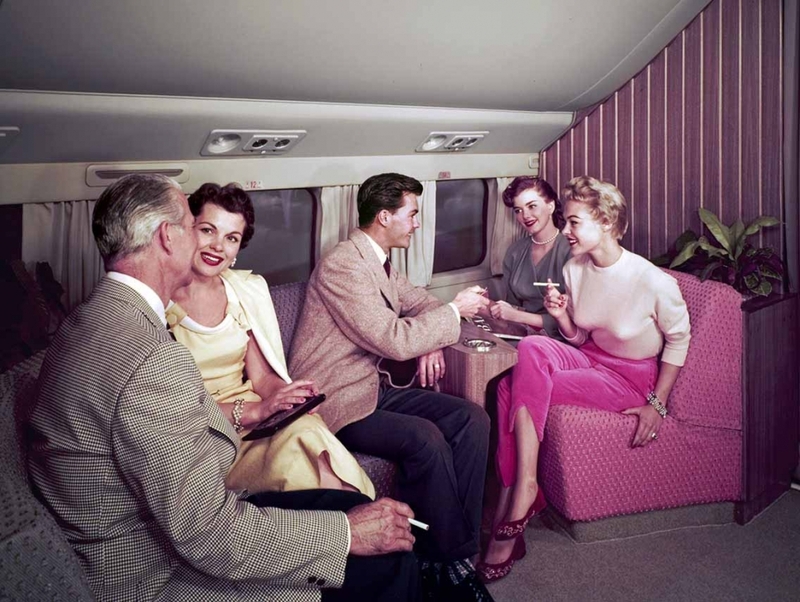 Banned today, smoking was very popular – particularly after dinner. This entry was posted in World and tagged 1950s, 1960s, aviation, humor & hilarious, life, life & culture, People by rolyred. Bookmark the permalink.